Heat a heavy skillet over high heat. 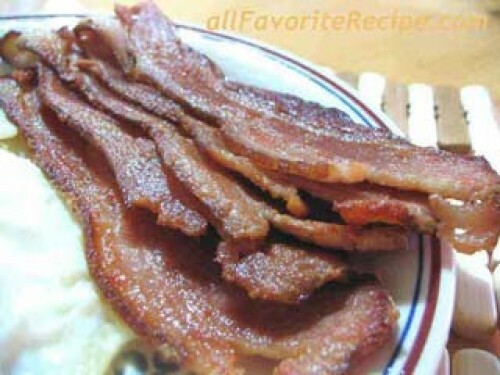 Arrange the bacon slices in a single layer and cook for 2-3 minutes. Reduce the heat to medium-low. Cook, turning several times until the bacon is crisp or done to preference. Draining off excess fat as it is rendered. Transfer to a wire rack set on a baking sheet to drain well. Blot with paper towels to remove excess surface fat. Whenever possible, have high-quality bacon freshly sliced from a slab at a good meat market. Initial high heat quickly renders as much fat as possible, then slow cooking in a pan kept free of excess rendering fat yields the tastiest and crispiest bacon.